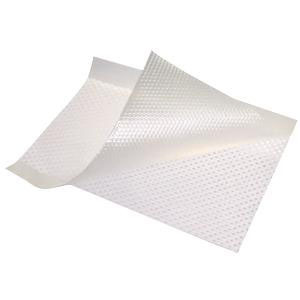 A wound contact non-adherent dressing made from polyester mesh coated with soft silicone. Silflex is designed to gently adhere to the skin surrounding a wound and not to the wound bed. This minimizes the pain and trauma associated with dressing change. The dressing allows the passage of exudate. Hydrophobic Silfix soft Silicone coating.